I was laying on Pauli and Karl’s couch, watching Chuck smoke on the back patio. 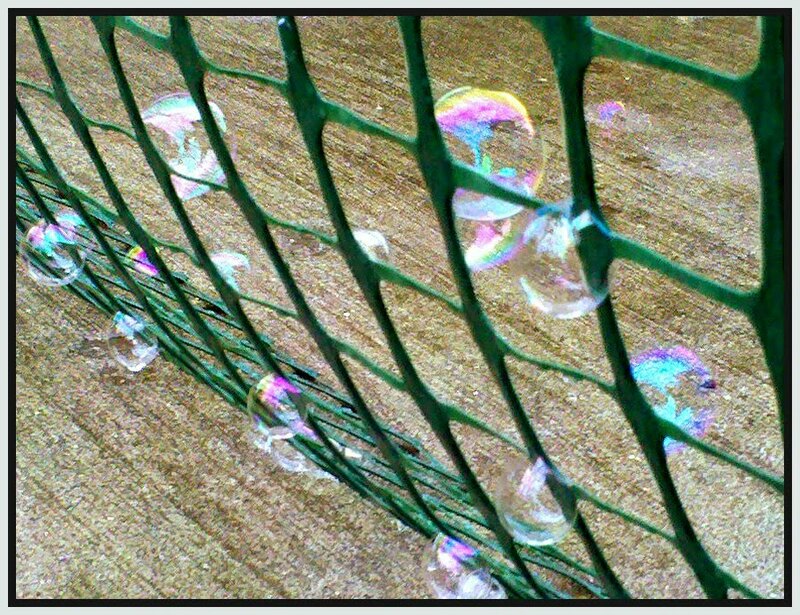 I could see him inhaling the cigarette smoke, but when he exhaled, I saw bubbles. Confused, I went outside to see what was going on and saw a bubble-making machine hanging on the deck. He suggested I get a picture of the fence separating the backyard from the driveway. This was just too good to pass up! Thanks, Chuck!